But the thought of leaving your comfortable life and its solid routines scares you. It’s an huge world and despite those jaw-dropping beach photos, you’d be tackling this vast unknown-ness by yourself. That thought makes your bones tremble. That was Lauren in 2011. 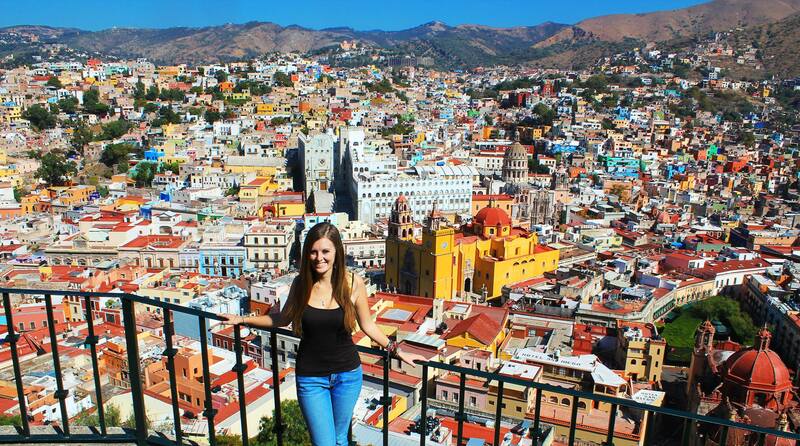 Striking out on her own to travel the world — and figuring out how to make money while traveling — was her pipe dream and one she decided was worth following. 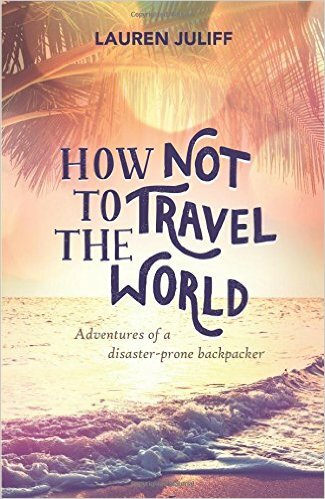 Well-written and hilarious, How Not To Travel the World is the story of how Lauren Juliff faced her overwhelming anxiety and dared to accomplish her dream of travel, despite being a fantastically unlucky traveler. I couldn’t put this book down. It was filled with rollicking stories — for Lauren really does have horrible luck — interspersed with intense self-evaluation and a desire to improve. How Not To Travel The World is crafted around Lauren’s quest to overcome her often-crippling anxiety. In the process of reading her journey, your fears are revealed for what they really are: mental challenges that you can overcome. Your imagined worst day on the road is something you can get through. In every page, Lauren is the walking example of this idea. 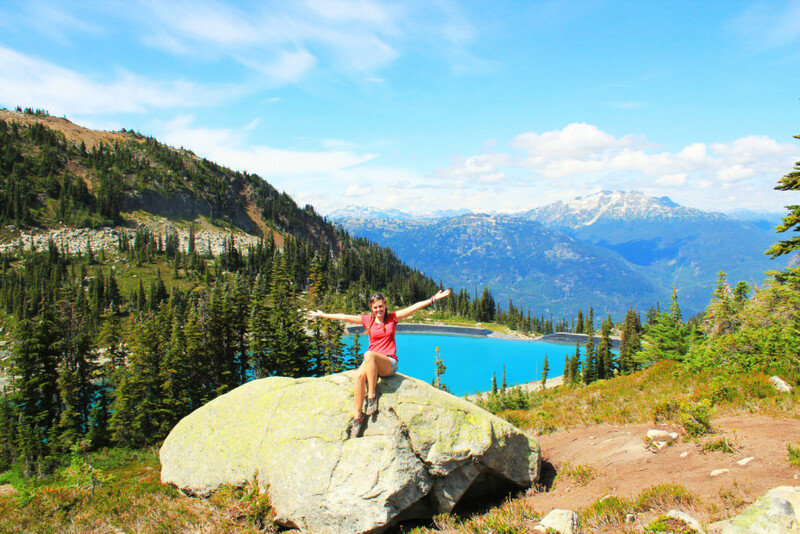 I had the chance to interview Lauren on her thoughts about traveling with anxiety, how to juggle work and life on the road, and how travel can change you in ways you wouldn’t expect. So many people say they want to travel the world, even if they’ve only done a little like you did before your book started. How did you take that goal and put it into action? What kind of fears or mental barriers did you have to tackle? I had so many fears and barriers! There were the huge things, like debilitating anxiety that had me battling panic attacks on a daily basis, an eating disorder that I was still fighting to get under control, and the lack of life experience – I’d never eaten rice before or been on a bus! Then there were the smaller fears that I think most new travellers face: worrying that I’d get sick, panicking about getting lost, wondering if I’d make friends or be lonely, feeling like I was forgetting to pack something important, and scariest of all: what if I didn’t like travel? With so many fears to overcome, it was surprising how easy leaving was. I chose a date, bought a one-way ticket, told everyone I was going to do it, bought everything I’d need, sorted out vaccinations and insurance, and then stepped on the plane. In a way, my anxiety made it easier to go. I knew that I was miserable at home and struggling to cope, and it made me ready to try something new. Whenever I felt like I wouldn’t be able to leave, I’d remind myself that I’d much rather have a panic attack on a beach in Thailand than at home. In what ways have your expectations about travel changed? Or how have you changed the way you approach travel now as opposed to when you first started traveling? When I left to travel, I expected that travel would change my life. It did, but not in the way I expected. I used to spend every spare minute at home devouring travel blogs and ended up convincing myself that my life would be just like those bloggers when I left. I was going to party around Southeast Asia and go skydiving in New Zealand and speak to every stranger I cam across. It was a bit of a shock when I stepped off the plane in my first destination and realised I was still the same person. I was never going to be much of a party-er and the thought of adventurous activities was always going to make me want to throw up. Fortunately, travel changed my life in so many positive ways. It led to me conquering my anxiety, helped me form a normal relationship with food, and it showed me that leaving my comfort zone is the best thing you can possibly do for yourself. 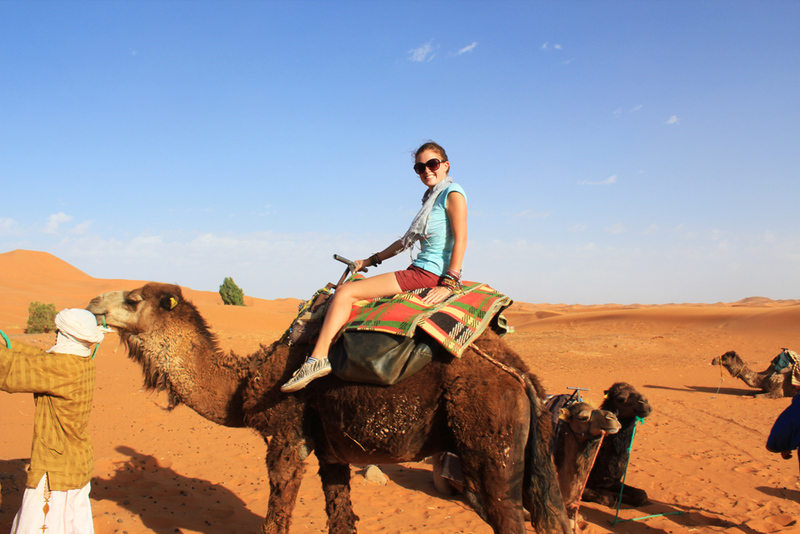 I had no idea that travel was transforming me until I was several months in. Now, I try not to have any expectations. I keep doing my thing and going to the places I want to visit, and if something amazing happens then that’s wonderful. If it doesn’t, that’s fine, too. Badly! Finding a work-life balance is something I constantly struggle with, because I find it tough to remember to switch off my laptop and step outside – there’s always something I could be working on. Recently, I’ve made a few changes to how I work in order to fix this. I’ve found that I enjoy the work and the travel so much more if I only do one of them a time, so I’m allocating one month at a time to each. One month of work and preparing to go offline, then one month of disconnecting and travelling through a new country. So far, so good! You faced some crippling fears and anxieties before you started traveling… and even during your travels. Sometimes the worst that could happen did happen! What has travel taught you about yourself? How has travel helped you overcome those fears and anxieties? Travel taught me that I was far more capable than I ever believed. When you travel solo, you often have nobody to rely on but yourself, so you have to take control of the situation. When I was lost, it was down to me to find my way. If I got sick, I had to find a pharmacy; and if I was scammed, I had to deal with the aftermath. Travel helped me overcome a lot of my fears because it showed me that the thing you’re worrying about sometimes happens. But when it does, it’s never as bad as you think. After getting myself into many scary situations and surviving, I stopped worrying about what might happen because I knew I was well equipped to deal with it. Do you have any tips or tricks to help people struggling with anxiety, fears, or food aversions on the road? Remembering that you can go home is always a big one for me. I felt like once I planned out a trip and left, I had to stick it out for the entire time. You don’t have to: if you feel terrible, you can book a plane ticket home and it doesn’t mean you’re a failure. Forming a routine on the road can help a lot. It keeps you in control of your life, and a lack of control is definitely one of the sources of my anxiety. Wake up at the same time every day, spend your afternoons in coffee shops, and set aside one day of the week as a treat day, where you spoil yourself rotten. Against the typical advice you read on travel blogs and in articles, I’d recommend ignoring your intuition. When you suffer from anxiety, your intuition tricks you into thinking that everything you do is going to result in your death. If I’d have paid attention to mine, I don’t think I would have ever been able to leave the UK! Finally, I’d suggest leaving your comfort zone as often as possible, even if it feels like the last thing you want to do. Taking on new challenges is what shows you that you’re capable. It introduces you to new things and helps build your confidence. I believe it was leaving my comfort zone on a daily basis that helped me overcome anxiety. Tell me what you’d say to someone who dreams of traveling the world as a lifestyle (aka vagabonding) rather than a vacation crammed into two weeks. I’d recommend not letting your expectations get too high. This lifestyle isn’t perfect and there are many downsides: loneliness, no constant set of friends in your life, financial worries, and, for me, working far more than you’d ever expect. The pros definitely outweigh the cons, but it’s also not all about lying on a beach all day long. I’d also recommend travelling far slower than you think you need to. Travel can be exhausting and visiting a new city every two or three days will leave you miserable. Instead, spend a minimum of a week in each place, so you can get to know it, explore at a more relaxed pace, and not feel like you’re missing out on the main attractions due to a lack of time. Finally, pack light! Take about half of the things you think you’re going to need. You’ll be able to pick up anything you’ve forgotten in most places around the world.